I have trapped fox for just over a quarter of a century, and in that time, I have caught my share. Some were good, others bad. A perfect “cherry” red, the kind we rarely see, is a good fox. Another good fox is a first fox for someone, or maybe even a last one. Maybe it’s a good fox because of the person you are with when you catch it. The bad ones are the ones you love to hate, or hate to love. They are the ones that dig out your traps and leave them flipped out of the bed, upside down but still set. Bad foxes require you to drag out your bag of tricks. The longer you try to catch them and fail, the more obsessed you become. And few things are sweeter than when you finally nail that ol’ digger and see him sitting in your trap looking shame faced. One of the good foxes was caught by my dad when I was young. I was staring out the window of our rusty red international pickup as we rattled up the rock-strewn driveway to my uncle Walt’s house. I was listening to the crunch of the rocks and the dry, raspy sounds of the leaves as we drove over them. When dad tapped me on the arm I followed his gaze and saw a huge red fox doing the dance up the hillside to our left, in a set dad made when two deer trails intersected. Dad stopped the truck and we got out with our gear and walked up the slope. It was the first fox I had ever seen up close. It seemed huge and positively glowed fire red. Dad dispatched the animal and started to remake his set. “Are foxes always that color?” I asked. “I only wish,” he replied, and then went on to explain that this is what we call a “cherry red”, because of the deep color all the way to its rump. He also explained that very few foxes have that coloration, and that they always brought top dollar from the fur buyer. The last fox on the point was another good one. The point was on an old far stead in Ontario, the best place to hunt, and had produced foxes for as long as I could remember. It was a wet area of high weeds and cattails that jutted out into a cornfield. A perfect place for a fox set, dad always said, because it provided 2 different terrains and a hunting area at one location, and it stood out from its surroundings. After dad quit trapping, my friend Arnold and I inherited many of his permissions. We caught foxes on that point every year. Then one day we read in a newspaper that a land developer had bout the farm and would begin putting up a house in the spring. We were heart broken; my family had trapped that farm for many years. The day we went to pull our sets at the end of the season, Arnold collected one last fox at the point – a big red one. I took a picture of him with the fox, and all I have to do is look at that picture to think of all the foxes we caught over all those years on the farm. The last year my partner Arnold and I trapped together, we trapped hard, if not long, and we did really well on foxes. Two days before Christmas, I caught what I knew would be the last fox of the season. While I was in the basement skinning the catch, my grandfather, pop, came down to chat and watch – to make sure I did it right. He sat in the chair and I hung the fox up on the skinning rope. “That’s a nice looking fox,” he said. “This one is number 78,” I replied. I was glad to see him go, because I didn’t want him to see the tear rolling down my cheek. That wasn’t just a good fox, it was a great one. It capped off my best year ever, but most of all, it was a great fox because of what pop had said. He realized I was probably better at trapping foxes than he and my father ever were. It was the highest compliment I could ever get from pop, but a bitter sweet moment for both of us. The first bad fox I recall was one Pop dueled with at Harvey’s. Harvey’s was an old overgrown farmstead, full of fire trails, hedgerows, and small fields. Pop had a set back off of one of the fire trails in a small opening. He told me that for the last week, every other day a fox scratched at a hole or the edge of the pattern, and one day even dug the trap free of its bed. Pop had tried a few different things to trip up this trickster, but so far, nothing had worked. Finally, as I watched, he dug a new trap bed a few inches off to the right of the original trap bed. “Why are you doing that, Pop?” I asked. “That fox has been digging on the right side of the trap bed, and I am moving the trap back to where I think he stands to do his digging”, he replied. He then pulled the trap from its original bed and bedded it solidly in the new offset bed. He then sifted dry dirt over both the old and new bed but he didn’t have enough to make both beds level. “Now what are you going to do?” I asked. He used his last bit of dry dirt to to level off the old trap bed but left the new trap sitting slightly exposed in its bed. For once, the weatherman was right. At about 5 o’clock that evening, a nice, soft snow started falling, and it fell until around midnight. In the predawn twilight of the following morning, Pop and I started running traps. Though the day turned out bright and beautiful, glittering in its snowy shroud, we did not have any luck. There was 6-inches of fresh snow to read, yet we saw few tracks. We finally arrived at Harvey’s at the end of the line. As we neared the special set, a set of fox tracks appeared on the trail, headed in that direction. I pointed them out to Pop. “Don’t get too excited,” he said. I used the same trick to nab myself a bad fox years later, but that’s another story. One other bad fox I clearly remember was one my dad had to deal with out at the previously mentioned farm. This troublesome fox would scratch the edge of a pattern or maybe leave a dropping next to the pattern, but otherwise not work the set. Dad had tried all the usual tricks – setting off to one side, blending the set in, using more guides – but nothing seemed to work. Finally, dad decided to try a set he had read from an old book. It seemed a bit farfetched to both of us, but he admitted he was running out of ideas. He picked a trail any fox going to his other sets would have to take. He chose a small tuft of grass as a backing, with an easy approach from the front. He bedded a fresh, clean trap as solid as the Rock of Gibraltar in front of this grass tuft, taking care to remove all the freshly dug dirt from the area, and then blended the set in with the ground cover. Then he took a lighter from his pocket, set the grass tuft on fire, and almost as quickly snuffed out the flames with his leather-gloved hand. 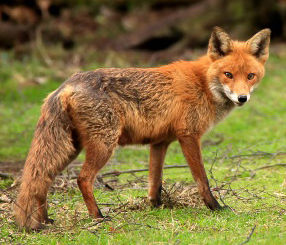 Then he added just 2 drops of fox urine to the burnt tuft, rubbed out his boot prints and left. He checked his sets the next day with no catch (but no digging), this excited him for the following day, as the trouble maker always came through every 2 or 3 days. It was a perfect night, with light wind and cloud cover; the morning dawned crisp and cold, with a thick layer of frost. Dad drove out to the farm to check his sets, just brimming with confidence. But as he got out of the truck and hopped the fence, his heart sank. There in the grass leading towards his set were 4-wheeler tracks, made just before dawn judging by the cut they made in the frost. He hurried towards his set, but he was too late. There in the frost was a perfect catch circle, reeking of fox, and off to the side of the circle was the telltale puddle of blood where someone dispatched the fox. Dad was absolutely livid; not only had a $75 dollar pelt been stolen, but he had been sure it was the digger he worked so hard to catch. He followed the 4-wheeler tracks out the back gate until they reached the blacktop. He never found who stole the fox, be he also had no more problems with digging, either. The last bad fox I’ll tell you about is one Arnold and I had to deal with the first year we trapped together. We were trapping on a pasture and had been doing fairly well up until that point. The first sign of trouble came as a dirt hole. The trap was still set and dug out of its bed. Arnold quickly rebedded and re-covered the trap, assuming he hadn’t bedded it solid enough and that it had wobbled and the fox had dug it out. The next day, the covering on one side of the trap at a nearby flat set had been carefully scraped away. And a big fat fox dropping sat 6 inches from the exposed trap. Now we knew we had a bad fox on our hands. I re-covered the trap at the flat set then used the dropping as a guard for the trap’s loose jaw. Between my set and Arnold’s dirt hole (about 50 yards), Arnold made a fresh pot set with just a few drops of fox urine. He hoped the fox would get tripped up in this very plan set, and be waiting for us the next day. The next morning, we found Arnold’s dirthole set dug out, his post set sprung, and my flat set scraped clean again. “I think this fox is pattern shy,” I said to Arnold. “Why would you think that?” He asked. 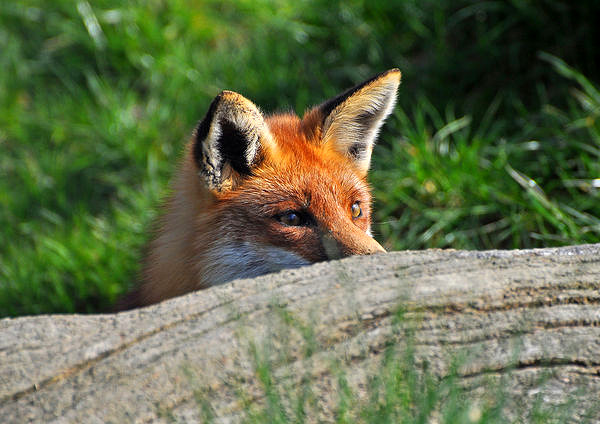 I don’t think bare dirt alone spooks a fox, but a combination of bare dirt, strange smells, and human odor can trigger a nervous response, especially if the fox has had a bad experience with that combination. We looked at the bare cropped pasture, knowing the quarter-inch grass left little to blend with a set. Then I had an idea. I re-covered the trap, and then used a quarter bucket of dry dirt to make a 3 foot circle around the trap, so the backing was in the middle of the pattern. “What the heck are you doing?” Arnold asked incredulously. “Well, I figure if this bugger knows what a pattern is, I’ll give him a real pattern to figure out.” Arnold just shrugged and walked off shaking his head. The next morning we had to run traps before daybreak because Arnold had to work at 6:30 a.m. We stopped at the pasture first, and Arnold shined his flash light at his dirt hole. The trap was partially uncovered. Then we went to check the post set, which was untouched. But when he shined the light on my big-pattern set, a pair of glowing ember eyes stared back at us. I gave the fox a thorough going over. I found no marks or any other indications it had been trapped before. Well, I hope you enjoyed this look back on some of the good, and bad, foxes I’ve caught over the years. I hope you, too, have many good foxes to cherish, reminding you of good people, places, and family. I also wish you a few bad foxes, as well, to bring the satisfaction of a job well done and time well spent. Perhaps when we look back on it all, we’ll realize they were all good foxes.